HTC, which needs all the love it can get these days, has enraged its customers by bunging adverts into the onscreen keyboard on its phones. Outrage over the tacky money-grab exploded online at the weekend after folks spotted banner advertisements appearing in the TouchPal keyboard that came with the HTC 10. These are annoying at the best of times, but when you're trying to type, screen acreage is very limited and adverts are a serious disadvantage to easy use. TouchPal comes bundled with the HTC 10 and other Android handsets, and while the software does have an ad-supported version, factory installs are supposed to be advertising-free. HTC today blamed the issue on a cockup in a software update that enabled the ads, and vowed to reverse the change. For what it's worth, it doesn't appear that the issue has cropped up in HTC's latest U11 handset. The fact that the Taiwanese tech giant didn't bother to develop its own keyboard and instead use a third-party supplier to provide such an integral piece of software has surprised many. 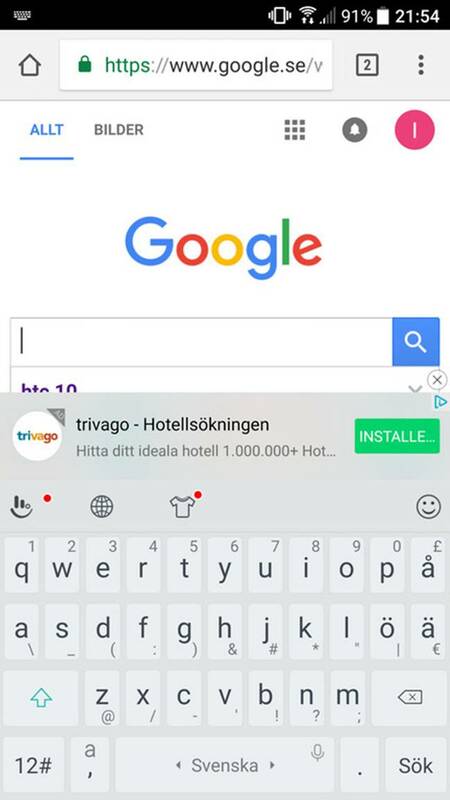 Apparently the HTC keyboard is provided by a third party that sent an OTA that contained ads. A third party app that receives all key input.